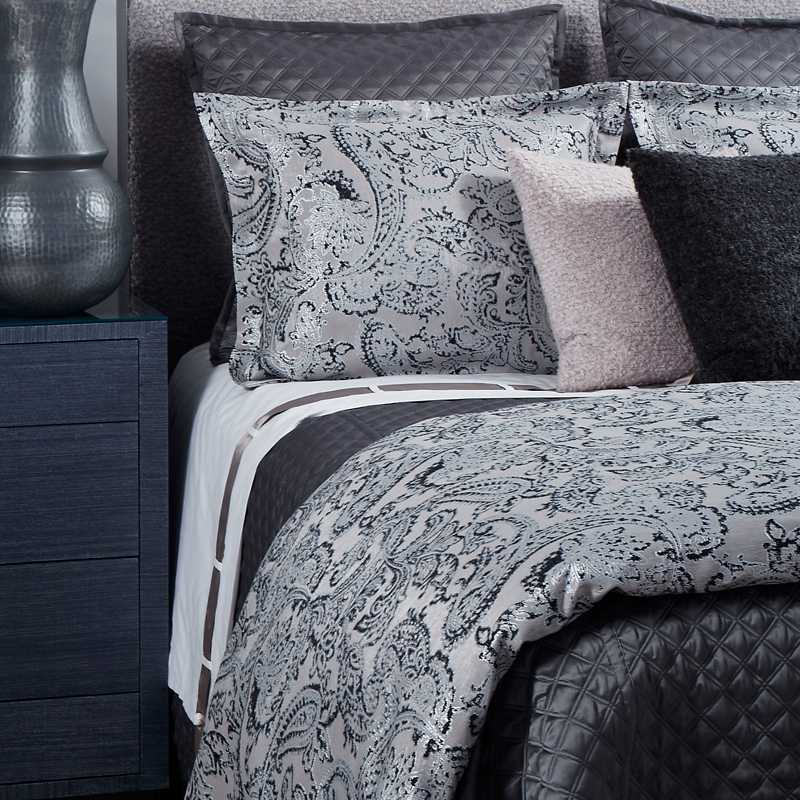 The photos above show the Double Diamond Coverlet Set in Charcoal paired with the Arabesque Duvet Set in Charcoal and Ombre Grey. 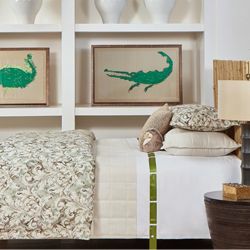 Fabric Samples and extra fabric for The Art Of Home Collections by Ann Gish is not available. However we will be happy to email you a Hi-Res photo if you would like a larger preview. Please email customerservice@andersonavenue.net to request the photo. Please note that colors can vary slightly on different computer monitors and devices. 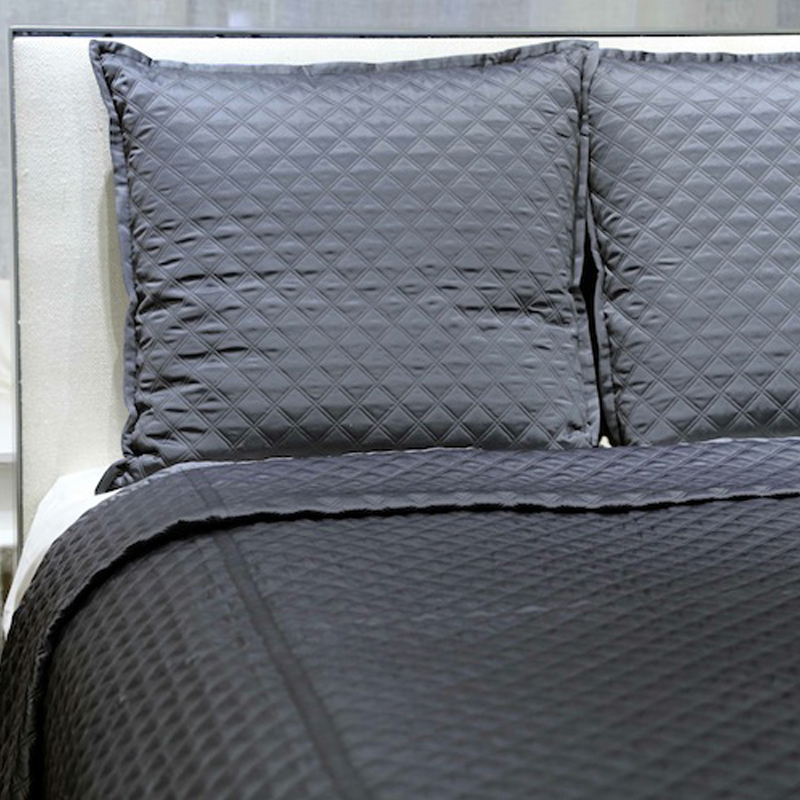 The Coverlet Set is available as a 3 piece King or Queen size set. • Art of Home Bedding by Ann Gish is considered a special order item. • We will send an email notification once your bedding ships. 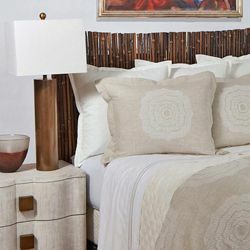 • All Art of Home Bedding by Ann Gish shipments will require a signature upon delivery.